An important instrument for the fosteruing of bilateraleconomic relations between both countries. 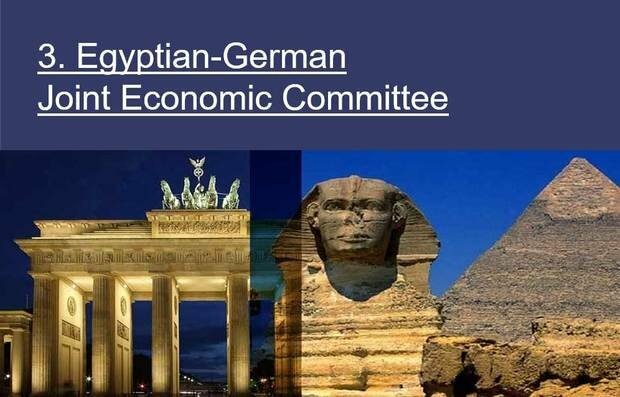 The Joint Economic Committee meets in turn in Berlin and in Cairo. The event has emerged as an essentialy important instrument for the fosteruing of bilateraleconomic relations between both countries. Representatives of both governments as well as private sectors are joined at the event. Topics on the agenda are the promotion of trade, intensification of mutual investment, joint venture in the sector of technical vocational training, as well as enhanced technology transfer.